I am one of those people that are constantly changing skincare brands each time I run out. I am not sure why I have this bad habit, I guess its the thought that I could benefit more from something else. Lately I am obsessed with the Origins skincare line. I am attracted to fact that Origins products include natural ingredients and a they are formulated without parabens, harsh chemicals and all that bad stuff. Origins has products for each skin type and since I have combination skin I got the checks and balances face wash with a balancing tonic. I highly recommend the checks and balances face wash as it doesn’t dry your skin while removing excess oil. The balancing tonic is also amazing as each time I use it my skin feels so clean and fresh that I just want to keep touching it. 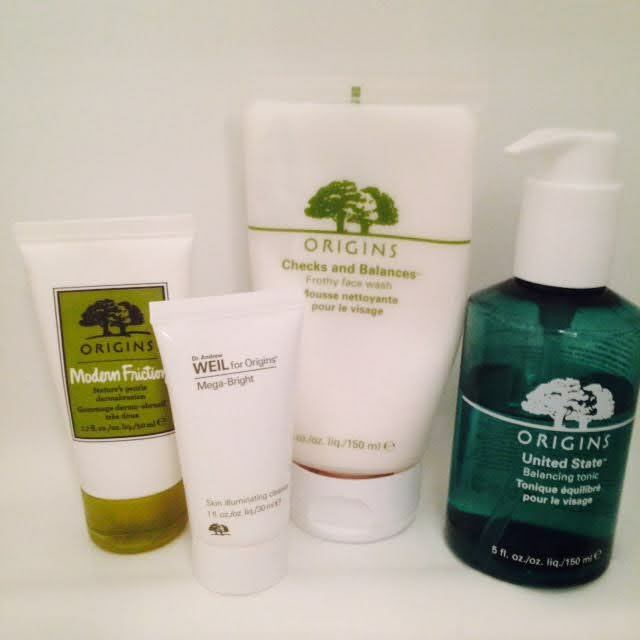 If you are looking for your next beauty product, I suggest trying Origins as it has done wonders for my skin. I would like to mention that this is not a sponsored post and the opinions are entirely my own.